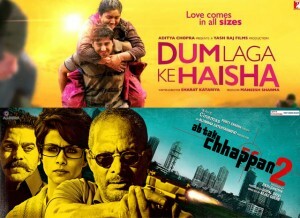 There were two movies that released last Friday on 27 February among which Ab Tak Chhappan 2 is a small movie as it does not have the big budget and is also the movie had not been promoted on the big scale plus story was also on and on only action hence resulted as below average performer. Film had failed to impress the audience over the box office throughout the first week. The total income of the flick till its first week end stands at low figures. On the other hand Dum Laga Ke Haisha is one movie with newer and but popular star cast as male lead. The film is based on a total romance, drama and love story genre with family audience targeted. The film also did not gained too high attention from audience but still came up much better than the other and ended up nice one week business. Where Ab Tak Chhappan 2 has entered into the list of not so hits of the Hindi films this year, other has made a nice justification to its cost and promotions due to mainly Ayushman’s performance. It seems this new year have been a home for such low budgets or washouts one by one every week. Total seventh day box office collection of Dum Laga Ke Haisha is 1.24 crore making its total of one week to be 10.64 crores and that of Ab Tak Chhappan 2 is 35 lacs* aggregating its first week total to stand at 6.99 crores*. As we all know that both these flicks before the release had low public excitement and after the release the first week has now showed all the average and decent results related to them. 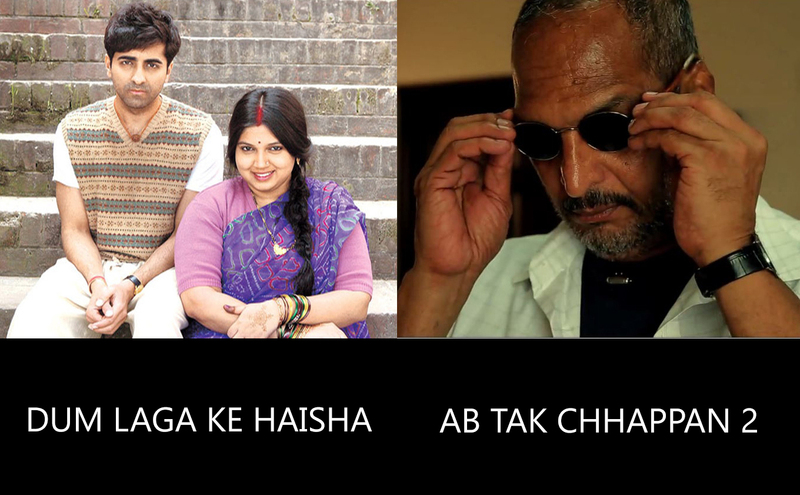 Being small budget and less publicized movies, Dum Laga Ke Haisha has done justice to its cost. On the other hand the other film could not trench its account with any good figure marking its end soon from screens.